Mujer Y Mujer was created in 2003 to challenge the social and political visibility of lesbian women, united by the vital need to build community, develop leadership and influence against a backdrop of violence, discrimination and privatization of both public spaces as the body and sexuality of women. 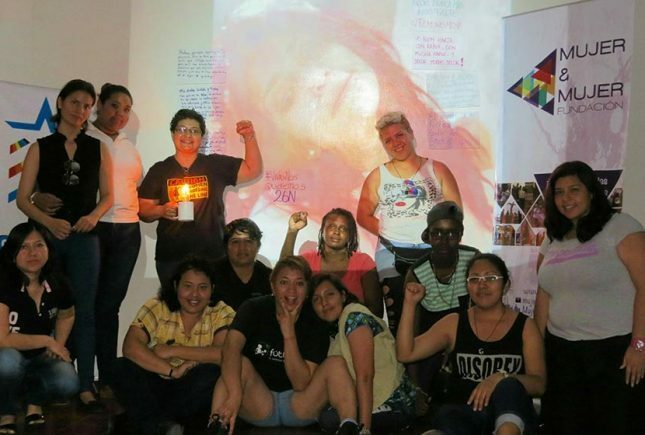 Mujer Y Mujer pushes the traditional meaning of “woman.” Since 2009 they’ve championed the leadership of bisexual women and transgender people. They also celebrate ethnic and generational diversity while their community initiatives strengthen the working class. The organization is run by volunteers due to lack of resources for LGBT groups in Guayaquil and LBT activism in particular. They strategically promote the creative role of women and LGBTI + in the integral development of more just and equitable societies; enhancing their political voices from their desires and resistances. Their slogan: Free to Be, Decide and Demand, represents the 3 axes of their philosophy.